Asian/Pacific Islanders (A/PIs) in the United States are disproportionately affected by the hepatitis B virus (HBV), which can cause a lifelong liver infection that may result in cirrhosis, liver failure, liver cancer, or death. Although previous studies have measured knowledge of hepatitis B transmission and prevention practices in A/PI communities, we present results from the first population-based study of this type, which specifically focuses on A/PIs who are chronically infected with HBV. Through telephone interviews, we assessed the HBV risk factor knowledge and prevention practices of a population-based, random sample of persons with chronic HBV who were reported to the San Francisco Department of Public Health between October 2007 and July 2009. Among 829 respondents, 67% were foreign born A/PIs of Chinese ethnicity who did not speak English as their primary language. Among all respondents, 75% were unable to identify how they acquired HBV, and 41% said that they do nothing to prevent transmission of HBV to their close contacts. Knowledge of HBV risk factors and recommended prevention practices was poor among A/PIs who are chronically infected with HBV and who may transmit the infection to others. This publication was supported by the Cooperative Agreement Number 3U01CI000309-05 from the Centers for Disease Control and Prevention. 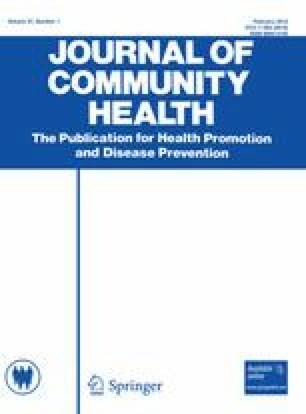 Its contents are solely the responsibility of the authors and do not necessarily represent the official views of the Centers for Disease Control and Prevention. The authors thank Alex Leung, Martina Li and Karen Luk for their contributions to data collection; Ishmael Bihl for his assistance with interviewer training; and Haroon Ahmad and Marijoyce Naguit for maintenance of the SFDPH Chronic Viral Hepatitis Registry. We would also like to thank all the individuals that participated in this project. United States Census Bureau. (2010). 2005–2009 American community survey 5-year estimates. Available online at: http://factfinder.census.gov/servlet/DatasetMainPageServlet?_program=ACS&_submenuId=datasets_2&_lang=en&_ts=. Washington, DC: US Department of Commerce, Economics and Statistics Administration (Accessed 20 May 2011). Title 17 California Code of Regulations § 2500, § 2505. Available online at: http://government.westlaw.com/linkedslice/search/default.asp?RS=GVT1.0&VR=2.0&SP=CCR-1000. California Office of Administrative Law (Accessed 24 May 2011). Centers for Disease Control and Prevention. (2007). Chronic hepatitis B virus, 2007 case definition. Available online at: http://www.cdc.gov/osels/ph_surveillance/nndss/casedef/hepatitisb2007.htm (Accessed 20 May 2011).